Chinese street food can be paradise for the adventurous eater, but it can also be quite bad for your health if you patronize a stand that has questionable hygiene or cooking practices. 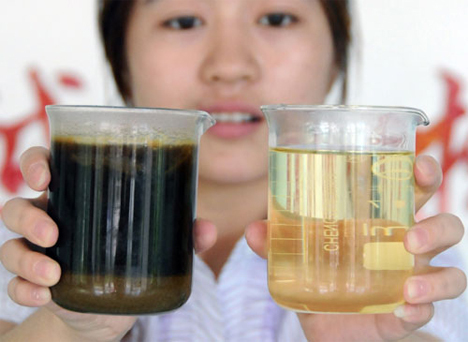 The use of “gutter oil,” or cooking oil that is recycled from waste oil and often linked to food poisoning, is rampant among street vendors. Unfortunately, there is usually no way to know before digging in if your food is made with safe and high-quality ingredients. 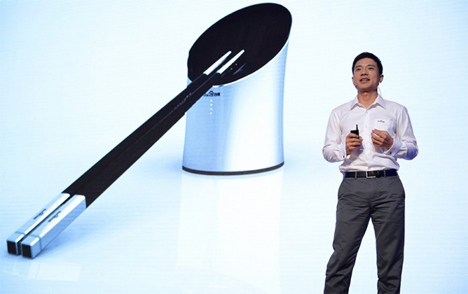 Chinese company Baidu is developing smart chopsticks that can help you tell whether the food you’ve just bought is safe to eat or might kill you. 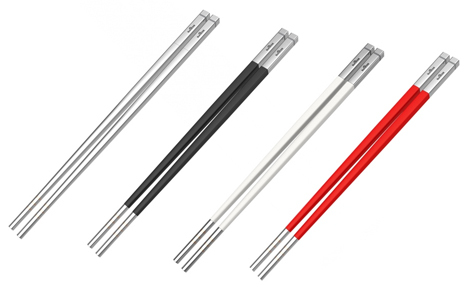 The metal tips of the chopsticks go into the food and analyze the contents. If the food is safe, the lights on top will glow blue. If it’s not, the lights will go red and the accompanying app will give you more information on what isn’t quite right about the meal. 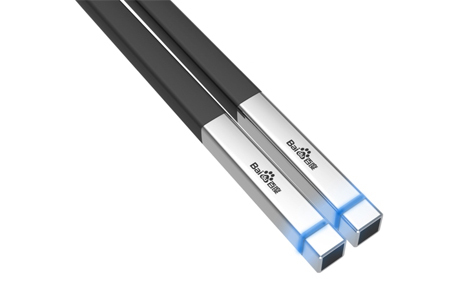 Baidu claims the chopsticks, known as Kuaisou, will also be able to measure acidity and sodium levels of the meals they are placed into. While maybe not quite as immediately life-saving as detecting gutter oil, this feature can help you establish a complete nutritional profile to keep you in optimal health. Although there’s no price or release date yet for the smart chopsticks, the company has revealed that the idea started out as kind of a joke. But with people getting ill and vendors actually going to prison for serving the unsafe gutter oil, they realized that it wasn’t just a silly notion. The company hopes to develop sensors that can accurately detect and measure a number of other ingredients and contaminants in food. It might not make you pass up the less-than-healthy options, but the technology could at least help you avoid the dishes that will definitely cause digestive distress. See more in Industrial Design or under Technology. September, 2014.